Silver Birch Press, 9780997797220, 104pp. 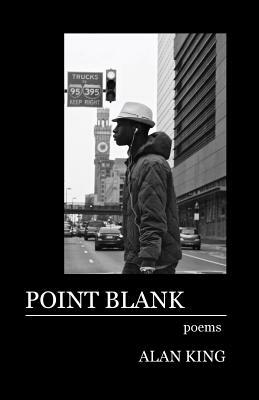 "Alan King is one of my favorite up-and-coming poets of his generation. His poems are not pop and flash, rather more like a slow dance with someone you're going to love forever. Here you will find poignant slices of life, so bright in a rough age of race killings and hate speech. He reminds us that what matters has always mattered." JOY HARJO, poet, musician, performer, and teacher. Alan King is a Caribbean American, whose parents emigrated from Trinidad and Tobago to the U.S. in the 1970s. He's a husband, father, and communications professional who blogs about art and social issues at alanwking.com. A Cave Canem graduate fellow, he holds a Masters of Fine Arts in Creative Writing from the Stonecoast Program at the University of Southern Maine. He's a two-time Pushcart Prize nominee and was nominated three times for a Best of the Net selection. He lives with his family in Bowie, Maryland.